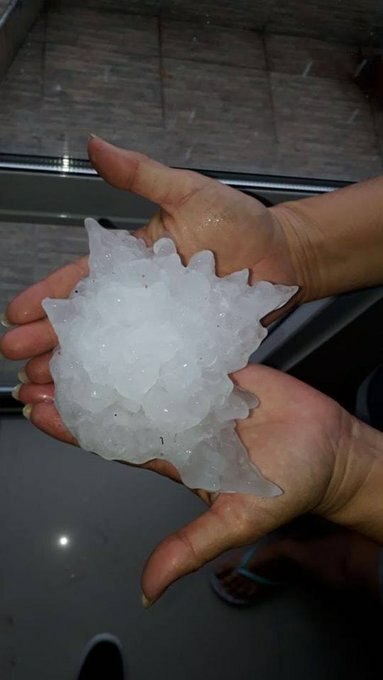 Giant hail fell Thursday, February 8, 2018, in the city of Cordoba, Argentina. The hail started around 4:30 in the afternoon. At first, it was “tiny and fun,” but then it changed. 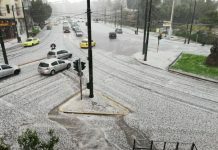 Hailstones larger than tennis balls began to fall from the sky, eventually growing to mammoth size as a stone of 7.1 inches hit the ground almost intact. This hailstone falls short of the U.S. record holder, an 8-inch hailstone that fell in Vivian, S.D., on July 23, 2010. The hail lasted 20 minutes. It was kind of terrifying. 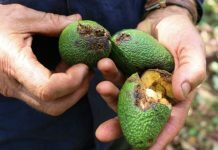 The stone looks to be up to 18 centimeters in diameter — 7.1 inches — at its largest width, which could be a record for the Southern Hemisphere. The hailstone is about the same size as an average honeydew melon. And it was probably bigger, as when it hit the ground it exploded and melted a bit. Hail can reach this size only if thunderstorm updrafts are strong enough to keep it suspended in the air. That would require vertical winds exceeding 120 mph. 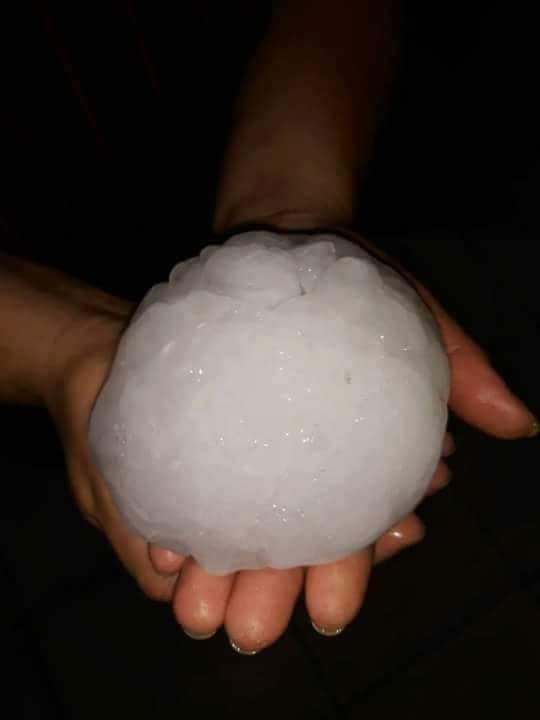 WOW Severe #hailstorm with enormous hail in Córdoba #Argentina yesterday afternoon. In events like this, each hailstone contains so much water that fewer stones end up forming. That’s why there’s a large gap between where they strike — sometimes landing 20 or more feet apart. In one video, bewildered onlookers hunkered beneath a metal overhang can be heard remarking about “ice the size of sports balls,” calling the spectacle “pure insanity.” The stones shattering on the pavement sent shards flying 15 feet. 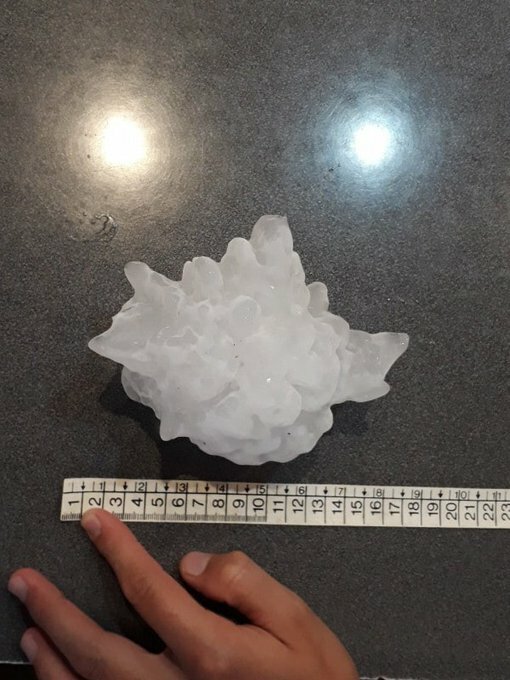 At 7.1 inches, Druetta’s stone falls short of the U.S. record holder, an 8-inch hailstone that fell in Vivian, S.D., on July 23, 2010. That one was eight inches across and weighed 1.93 pounds, making it the largest and heaviest to ever occur in the United States. The Argentina stone could claim second place for width, as well as be the biggest on record south of the equator. These hailstones should be some kind of weapon from sky. But they hit only bad people with pinpoint accuracy. I think they hit everybody! Do you know many huge trees fell down at once in Olympic National Park in Washington? The reason is unknown. 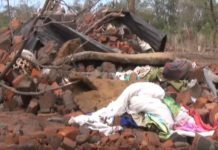 A small quake was recorded. Today, on USGS earthquake map with all magnitudes, I found 2 explosions in Washington state. The coordinates were 46.535°N 122.964°W & 45.892°N 122.442°W. More info:The Mystery Tree Fall Near Lake Quinault: Why Did It Happen? Part I. From the approaching Planet X that the chemtrails hide every day globally for the past decade.